In addition to our product growth, we brought on 5 new full time employees (with plans to continue growing our team!). We now have an in-house Somm, a Sales Manager, a Content Creator, a Vineyard Manager, and an Office Manager. We’re ecstatic about the potential for bigger and better things coming up in the 2019 year – fasten your seatbelts; it’s going to be a wild ride! But all that aside… the biggest and most exciting expansion for us this year was the growth of our family through the addition of a sweet, new baby. In the early hours of the morning on December 20th, Lisa (Cofounder & Winemaker) and husband, Zach welcomed their first son, Huck Thomas Hinton, into the world. He weighed in at a solid 8 lbs and was 21.5” long. After a week of life, baby and parents are happy and healthy. 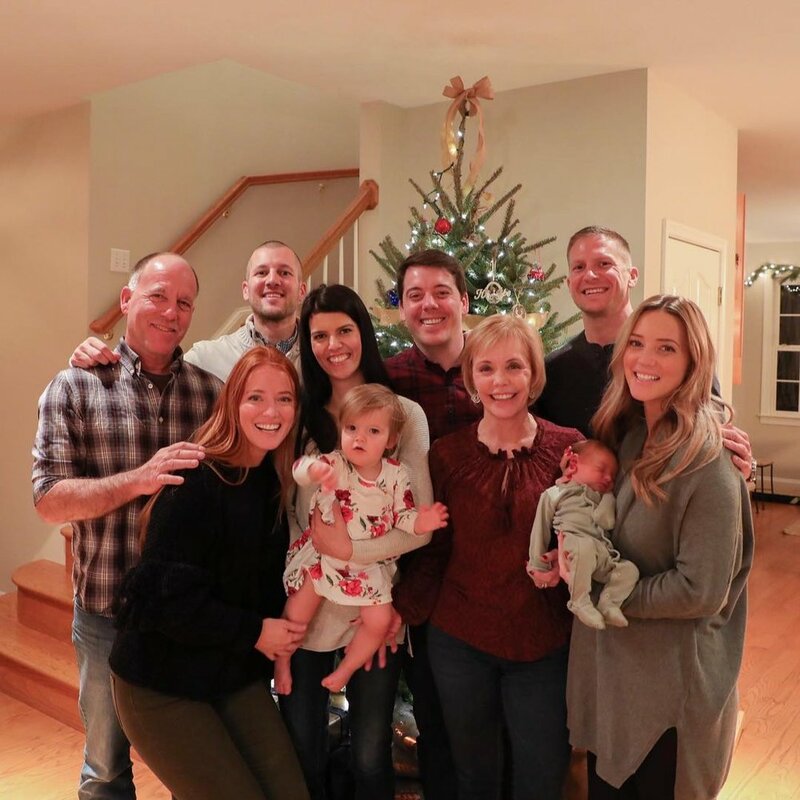 On the day after Christmas, Drew (Cofounder) and wife, Casey hosted their daughter, Noelle (aka Nelly)’s, first birthday. It was a joyous celebration of a wild and willful child with a knack for making everyone smile. Needless to say, the next generation of winemakers are on their way! With so many exciting things having had taken place this year, it only makes us more elated about the new adventures that are coming this upcoming year! 1. The Burnt Hill Project –One word: EXPANSION. In addition to Old Westminster,we’ve found a new farm that is perfect for growing grapes… and when we say “perfect” we mean PERFECT. This farm will grow the kind of grapes that will make wines that redefine American wine. We'll never forget the moment we first stood on top of the hill overlooking Sugarloaf Mountain and the Blue Ridge. It was love at first sight. We bought the land on the crisp winter morning of December 20th, 2016 and we immediately rolled up our sleeves and got to work. We’ve spent two years tilling the earth, cultivating cover crops, and enlivening the farm through biodynamic practices. And now, two years later, we believe the ground is finally ready for 30,000 vines to be planted this coming April. We will plant a thoughtful mix of old world grape varieties (like Cabernet Franc and Gamay) as well as Native American varieties which will be farmed organically. This hillside – with all its elements in harmony – will yield wines unlike anywhere else on earth. Interested in following along on this project? Sign up for the mailing list, “like” The Burnt Hill Project on Facebook, and “follow” The Burnt Hill Project on Instagram! 2. Tasting Room Cocktails – Everything we do at our tasting room is centered on our overarching goal to connect our community to the land through a glass of wine… and now through rotating seasonal cocktails! Join us in the Tasting Room beginning Friday, January 11thto enjoy artisan cocktails made from estate spirits and other Maryland-grown ingredients. We will be releasing two new cocktail recipes each month – one light & bright, the second bold & rich, as well as “mocktails” for those who want to have some fun while staying sober. So reach out to friends old and new – join us in our tasting room for an expanded experience that is both fun and relaxing. 3. Saint Vincent Wine Festival – We are putting a Maryland-spin on an ancient Burgundian tradition! Each January, wine lovers from across the world travel to Burgundy, France to celebrate Saint Vincent, the Patron Saint of Wine. On January 26-27, 2019, The Saint Vincent Wine Festival will take place on the rolling hills of the Old Westminster farm! Join us for a festive weekend featuring winery tours, barrel sampling, live music, seasonal fare and roaring fire pits. Tickets are limited – get yours HERE! There’s a lot to be excited for and thankful for, isn’t there?! Now is the time to prepare for a new phase in our growth… as farmers and artisans, we absolutely love to share the fruit of our land with you. We can’t wait to see you at Old Westminster Winery this year! Happy New Year: stay in touch!